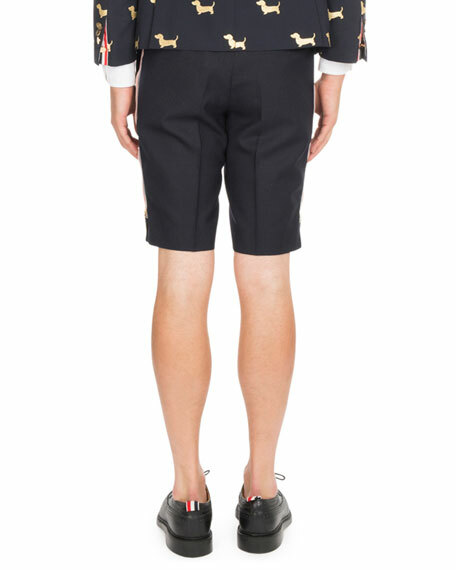 Thom Browne shorts featuring back-strap detail. Adjustable side tabs with golden buttons at waistband. 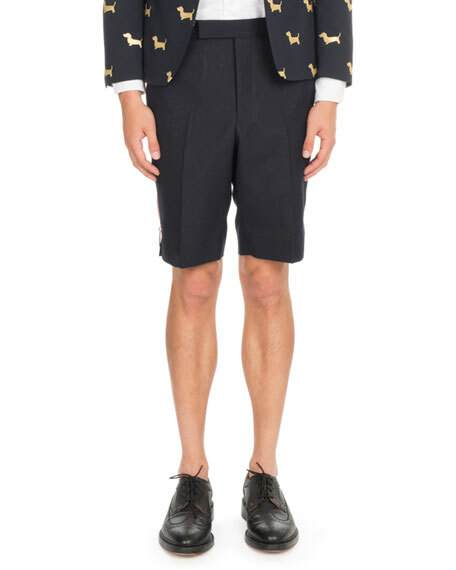 Slim, tailored fit; straight legs. For in-store inquiries, use sku #2507655.